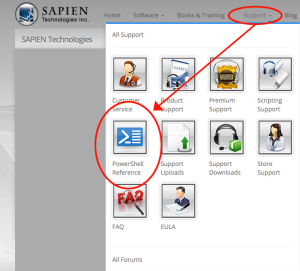 SAPIEN Technologies, Inc. is pleased to introduce our new online Windows PowerShell Reference tool, which is based on the reference section of iPowerShell Pro. 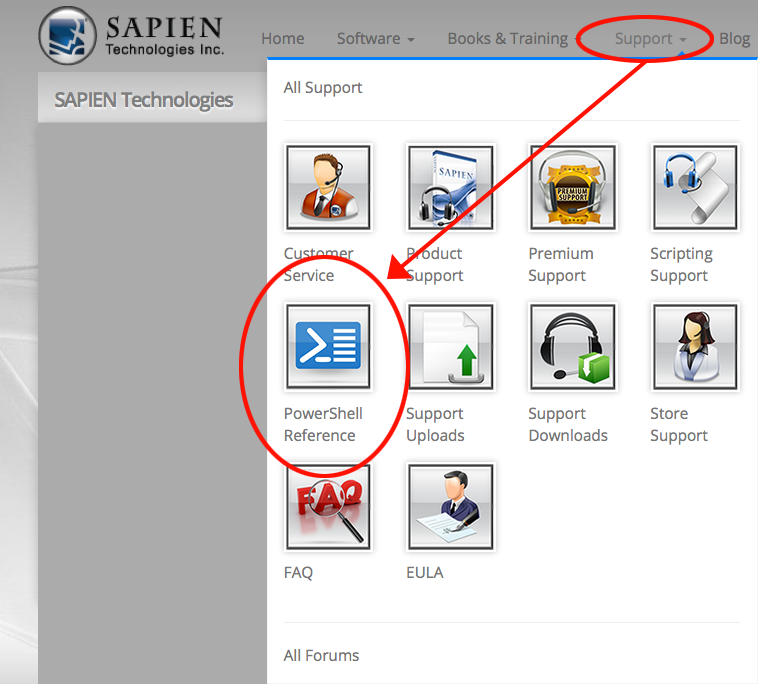 To find it, on the SAPIEN web page, click Support and then click PowerShell Reference. 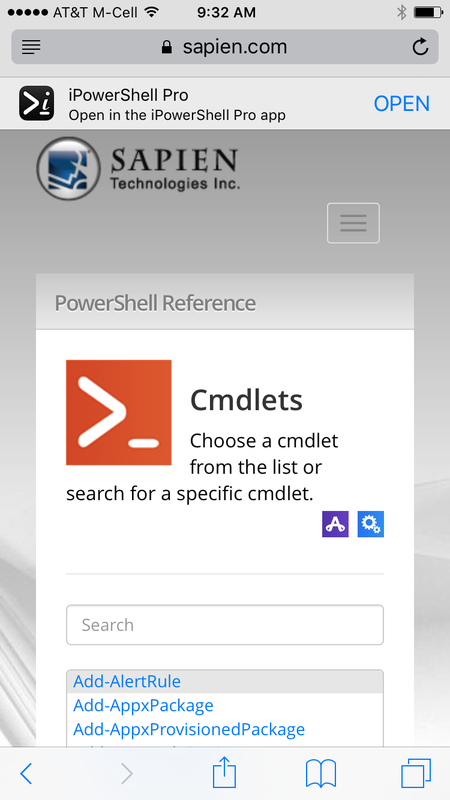 Or, go directly to https://www.sapien.com/powershell. 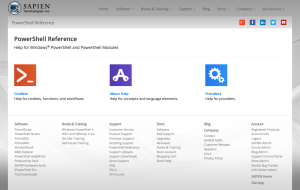 PowerShell Reference contains help for Windows PowerShell and PowerShell modules. 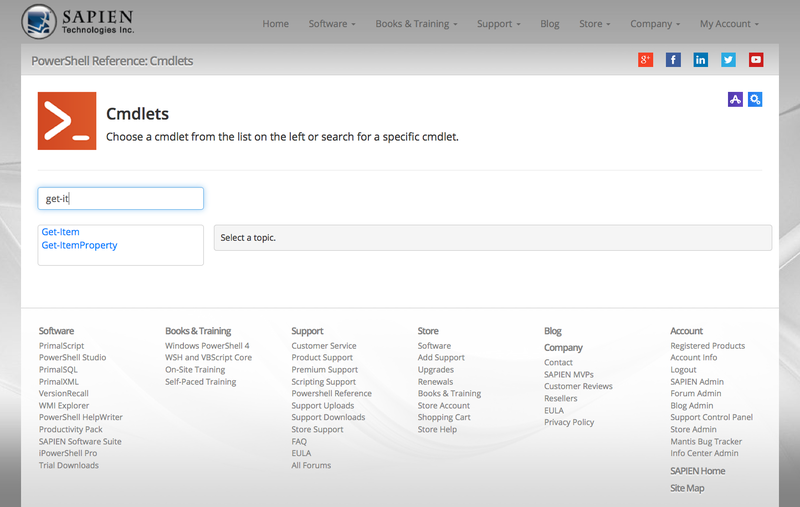 This tool allows you to search through Cmdlet Help, About Help and Provider Help with just a click of your mouse. 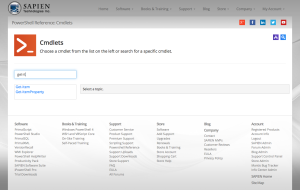 After you’ve chosen a help category, start typing in the search box. 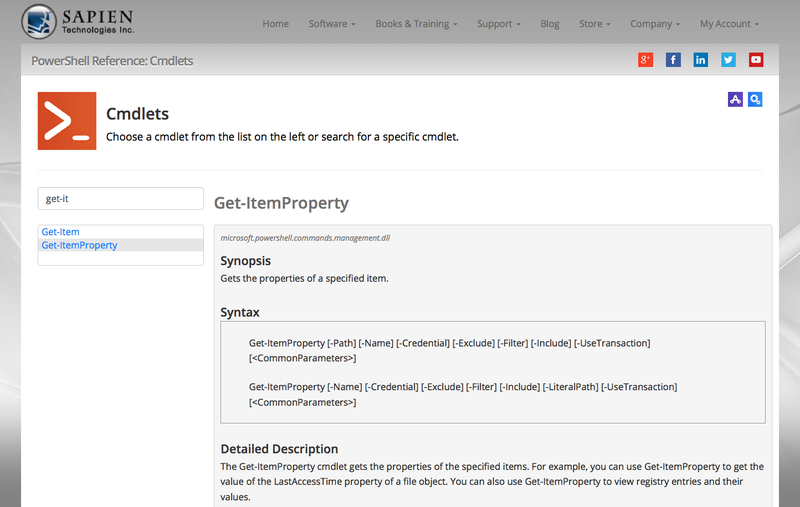 The menu will filter as you type. 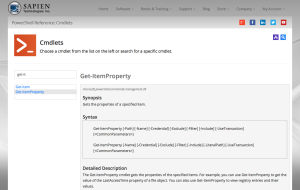 When you choose an item from the list, the document displays with the standard Microsoft formatting. 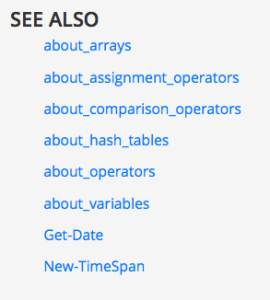 The SEE ALSO links in About Help topics are actually clickable, making it easier to jump to related topics. 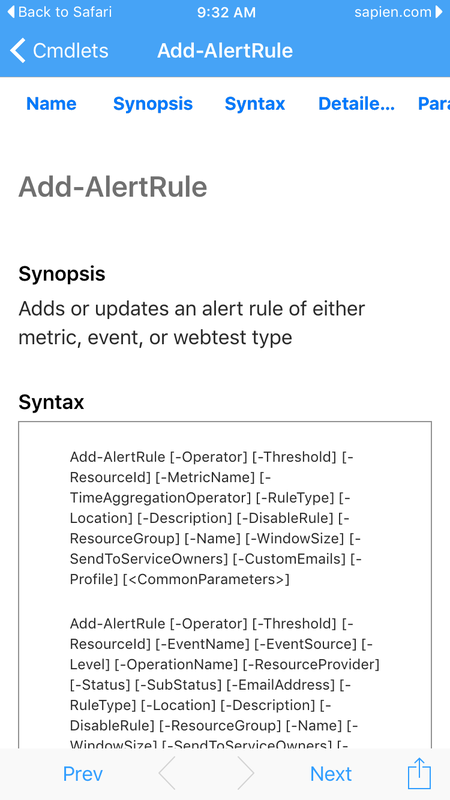 If you are surfing PowerShell Reference on your iPhone or iPad, you can jump straight from your browser to the corresponding place in iPowerShell Pro. 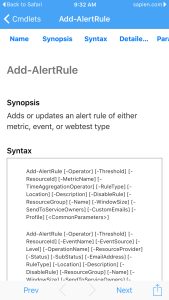 We run an updater once a quarter unless more frequency is needed, so check back often for added modules. 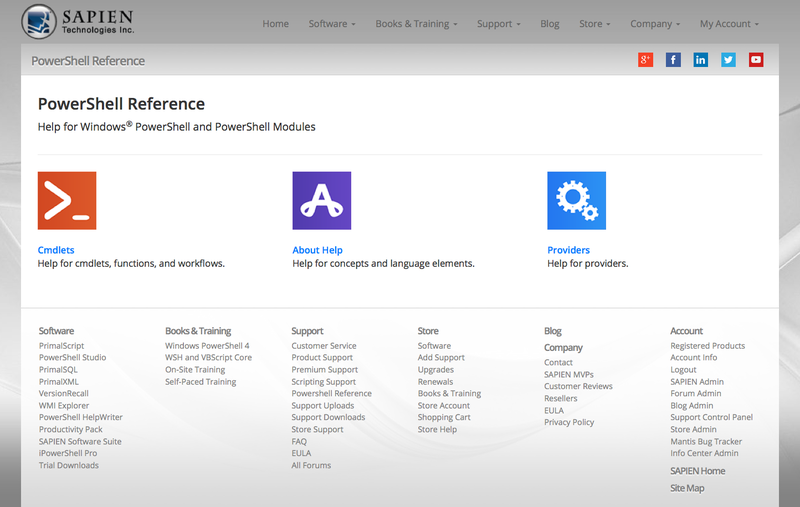 And, be sure to let us know if you like PowerShell Reference, including requests for help for particular modules. 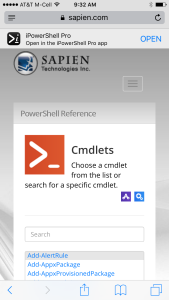 @alexandair @SAPIENTech @PowerShellMag I’ll check this out ASAP and get back to you. Thanks, Aleksandar.